Join us for a special evening of celebrating Queens literary vibrancy curated by Queens Poet Laureate Paolo Javier. Poet Gabriele Tinti presents his new book of epic poetry All Over, an ode to boxing as read by him and celebrated Queens actor and boxer, Burt Young. Both will then have a discussion with translator Nicholas Benson, and present a screening of a new poetry film by Michele Civetta of Quintessence Film. Celebrated Musician and Writer Franklin Bruno‘s poetry combines philosophical and pop-cultural wordplay, everyday urban experience, and reflections on his background as the grandson of Italian immigrants. 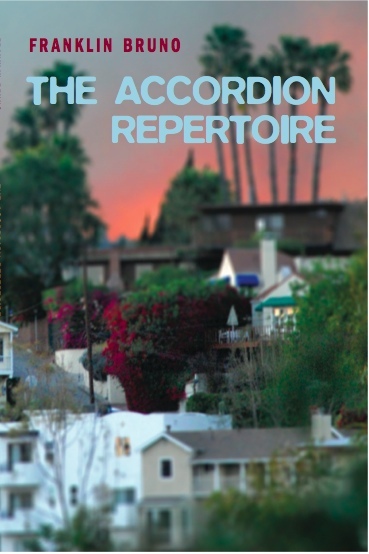 He will read from his recent collection The Accordion Repertoire, and from new work, with improvised musical backing from the Poetics Orchestra, led and conducted by Drew Gardner. Performances will be followed by book-signing and light refreshments. Gabriele Tinti is the author of "New York Shots" (Allemandi&C. 2011), "The way of the cross" (Allemandi&C. 2011) " both collaborations with Emmy and Golden Globe-winning actor/director Michael Imperioli -, "Ring: the means of illusion" (Revolver, 2012) and of "It's all over" (Danilo Montanari Editore, 2013, a collaboration with legendary actor and painter Burt Young). His books have been presented in Museums such as the Queens Museum in NYC, the Triennale in Milan, MACRO " Museum of Contemporary Art in Rome and the Boston Center for the Arts in Boston. His books have been acquired and can be viewed at some of the major museums of contemporary art in the world, among them the Castello di Rivoli, Torino/ Triennale, Milano/ MAMBO, Bologna/MACRO, Roma/ La Quadriennale di Roma " Roma/ ICP " International Center of Photography, New York/ Tel Aviv Museum of Art, Tel Aviv/ Institute of Art, Chicago/ Museo Nacional Centro de Arte Reina SofÃ­a, Madrid/Kunsthalle Basel/ MACBA, Barcelona/ Seattle Art Museum, Seattle/ Guggenheim, NYC/ SFMOMA, San Francisco. Burt Young is an American actor, painter and author. He made his name playing rough-edged working class Italian-American characters, the best-known example being his signature role as Sylvester Stallone's brother-in-law Paulie in Rocky (1976), for which he received an Oscar nomination for Best Supporting Actor. He has played similar roles in Chinatown, Convoy, Back to School, The Pope of Greenwich Village, Once Upon a Time in America, Last Exit to Brooklyn, Downtown: A Street Tale, and even a brutal and darker role in Amityville II: The Possession. Young has also appeared in many television programs, including The Rockford Files, Baretta, Law & Order, Walker Texas Ranger, M*A*S*H, guest-starred in a Miami Vice episode, and made an appearance on The Sopranos ("Another Toothpick") as Bobby Baccalieri's father, who is dying of cancer and comes out of retirement to execute a hit on his godson. Young is a painter whose art has been displayed in galleries throughout the world. He is also a published author whose works include two filmed screenplays and 400-page historically based novel called Endings. Nicholas Benson, the recipient of an NEA Translation Fellowship, holds a PhD in Italian from NYU and an MFA in Writing from Vermont College. He is the translator of Attilio Bertolucci's Winter Journey (Viaggio d'inverno, 1971; Parlor Press/Free Verse Editions, 2005) and Aldo Palazzeschi's The Arsonist (L'incendiario, 1910; Otis Books/Seismicity Editions, 2013). Franklin Bruno is a writer and musician based in Jackson Heights, Queens. He is the author of the poetry collection The Accordion Repertoire (Roof Books, 2010), two previous chapbooks, and a critical book on Elvis Costello's album Armed Forces (Continuum, 2006). His poetry has appeared in the Brooklyn Rail, Critical Quarterly, and West Wind Review, and his criticism has been twice anthologized in Da Capo's Best Music Writing series. Since the early 1990s, he has released sixteen albums of original songs as a bandleader or solo artist; the most recent is Another (Shrimper Records, 2012), with the Human Hearts. He holds a Ph.D. in Philosophy from UCLA, and has also taught at Northwestern University, Bard College, and SUNY Purchase. He is currently completing a book on the history of American popular song-form, to be published in 2014 by Wesleyan University Press.